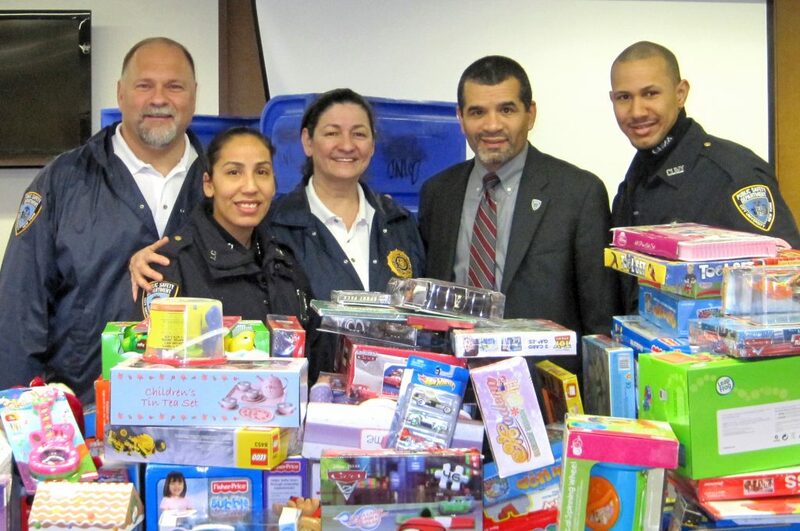 Public Safety staff display the toys they collected for Bronx kids. The holidays may be over, but the memories still linger among the many children who received toys last month, thanks to the generosity of the Lehman community. Members of Lehman’s Department of Public Safety delivered nearly two hundred toys—six huge bags’ full—to North Central Bronx Hospital on Dec. 21. 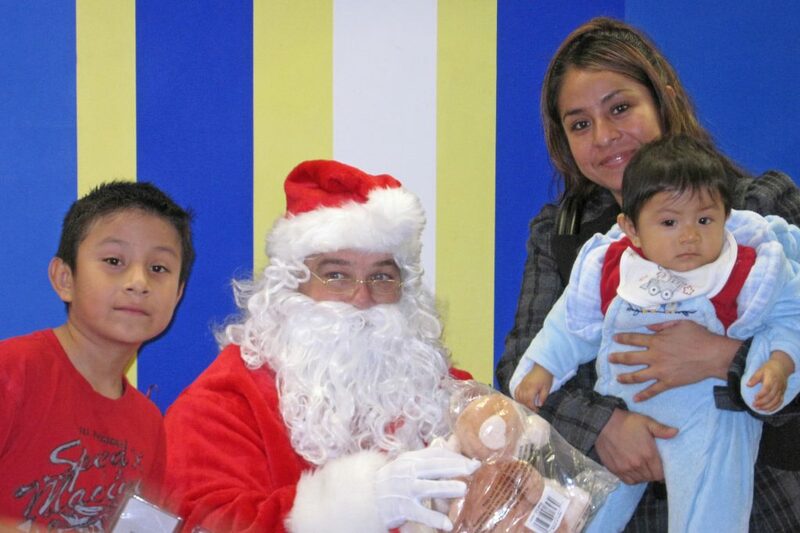 Scores of children had the chance to choose a toy and meet Santa. Santa shares toys with a young family.